I just called Smart Bro CS to have my account canceled. 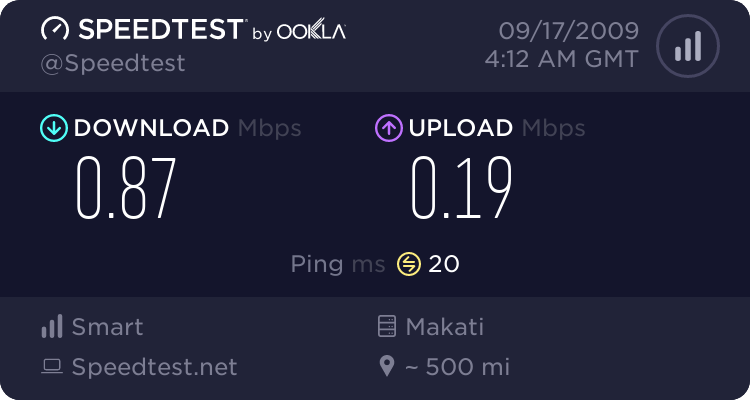 According to the CS, SmartBro has upgraded their speed to 1Mbps. I told her that if someone had informed me about this, I shouldn't have gotten a PLDT line anymore. Since August pa raw yung upgrade nila to which I said no one has made a formal announcement about this. Gusto pa akong pilosopohin ng gaga. Here is the result of the SmartBro test.